A typical visitor won’t be able to listen to a Wagner composition and distinguish clearly between different instruments like the oboe, English horn, clarinet, bassoon, horn, Wagner tuba, etc. 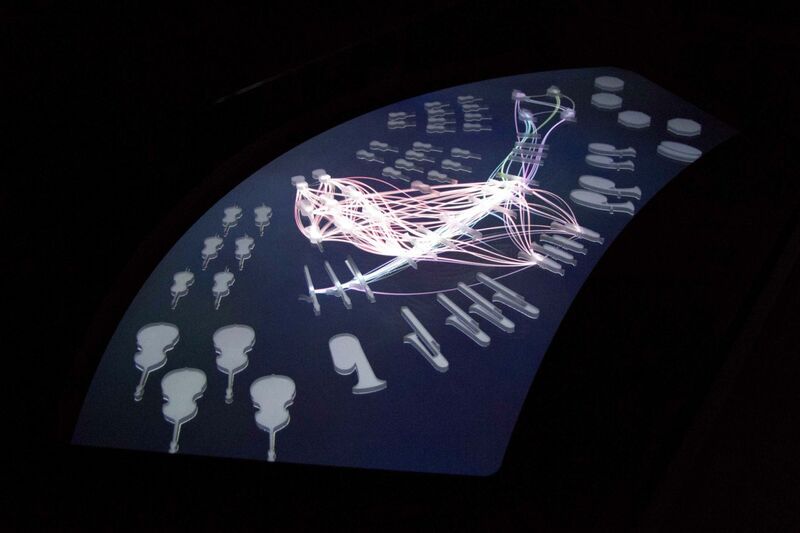 The exhibit “Orchestra pit” makes these very complex musical compositions literally visible to the visitor. For this purpose, four recordings of representative pieces of Wagner’s music were disassembled, and the individual instrument tracks were adjusted precisely to the respective recording. 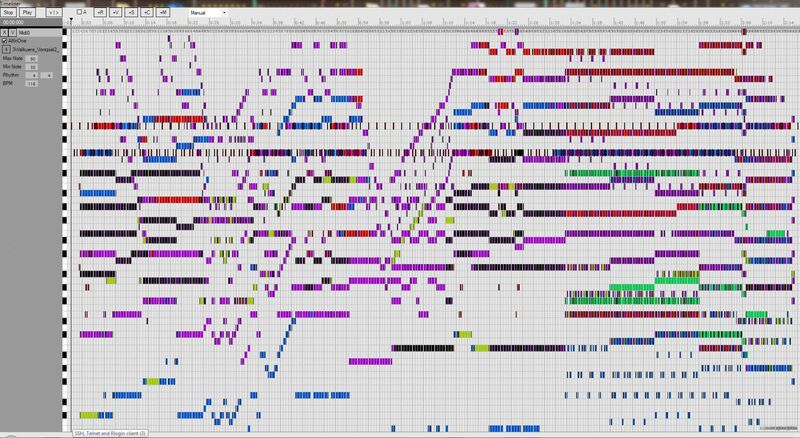 Each piece consists of up to 24 digital tracks that contain information about the notes played, the intensity of striking of the piano keys and duration of the tone for each group of instruments. 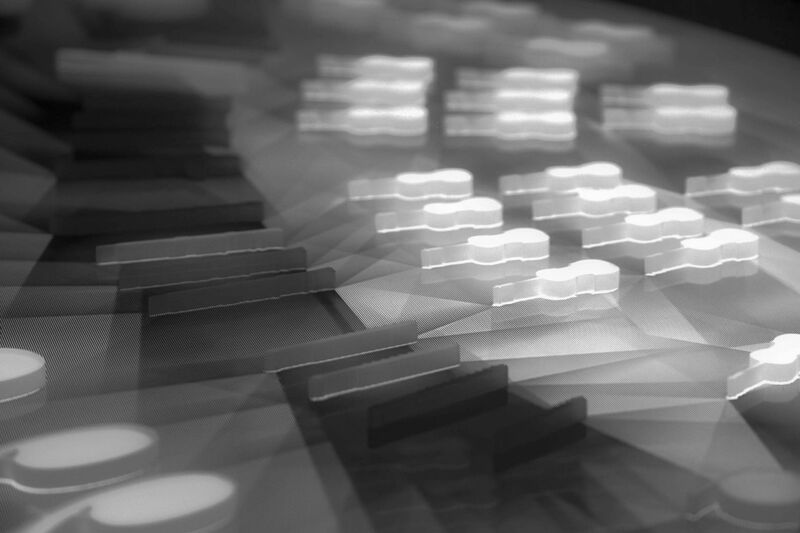 Four different generative visualizations show the pieces in different tuning and each emphasizes different aspects of in-depth information. For example, pitch is displayed in color, and all instruments playing the same note at the same time are connected by lines. The exhibit is fully interactive, so the visitor can choose the piece he or she wants to see and listen to and in what kind of mode. Even while the pieces are playing, visitors can uncover additional information. For instance, they can display the sounds of selected instrument, examine special parts of the orchestra pit, or colorize instrument pitches. 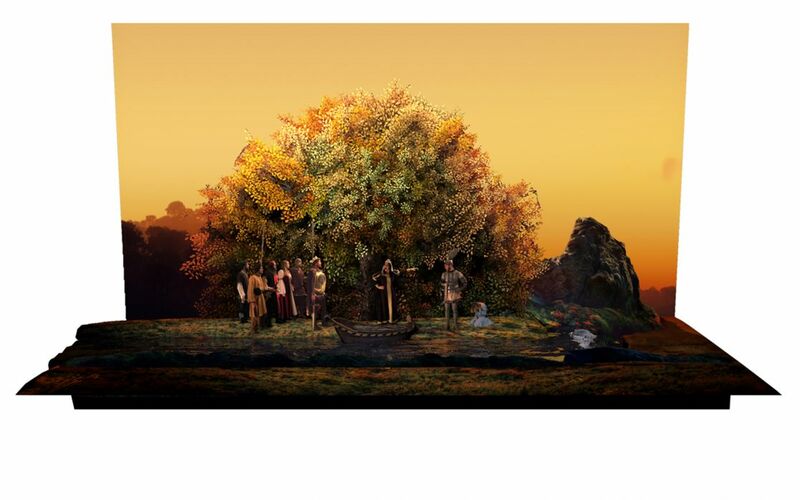 The exhibit “Theatre & Stage” is dedicated to Wagner’s work in the recurring motif of the transformations that occur in “The Flying Dutchman” and“Lohengrin”. 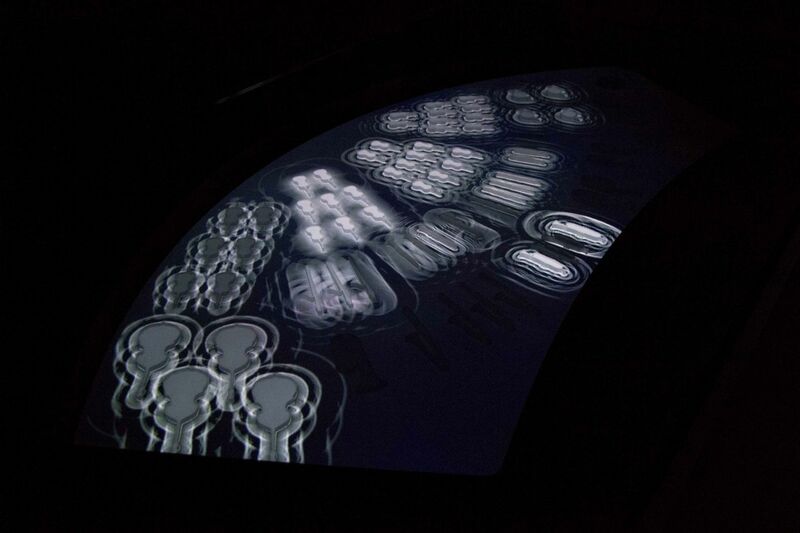 Two different technical methods are applied: By using mapping, various real-built stage settings are arranged with animated content, bringing static scenes to life . 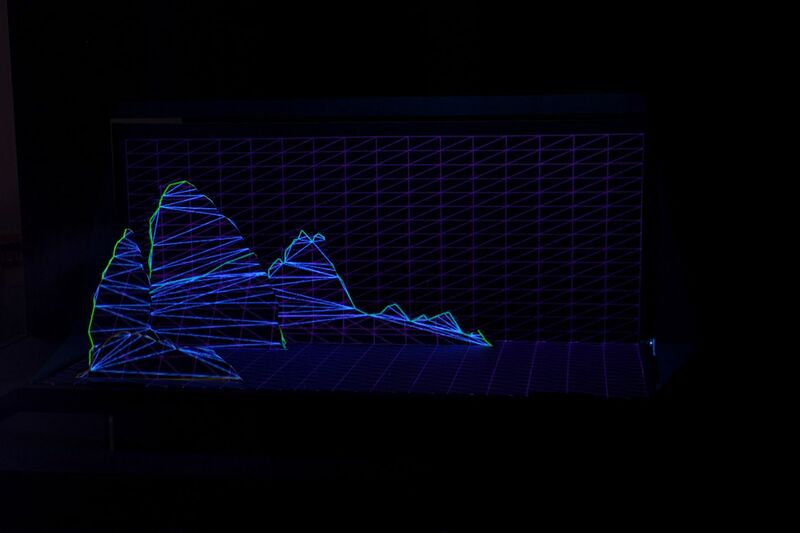 The stage settings are mounted on a motorized hub that transmits the exact position to the control software using digital sensors. The second method, the so-called Pepper’s Ghost principle, creates the illusion of holographic elements like the magical floating ghost ship of “The Flying Dutchman”. The two scenes were brought to life using a combination of live action filming in front of green screen and 3D-animated cartoon sequences.